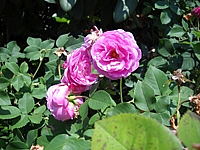 Often times the Rose absolutes are a blend of Damascena extracts with some centifolia to create products with a more advantageous price point. This absolute is expertly extracted from pure Rosa centifolia petals grown in Morocco capturing its unmitigated exuberance. Only a few bottles left!